Tournament play begins at 8:30 a.m. on Saturday. 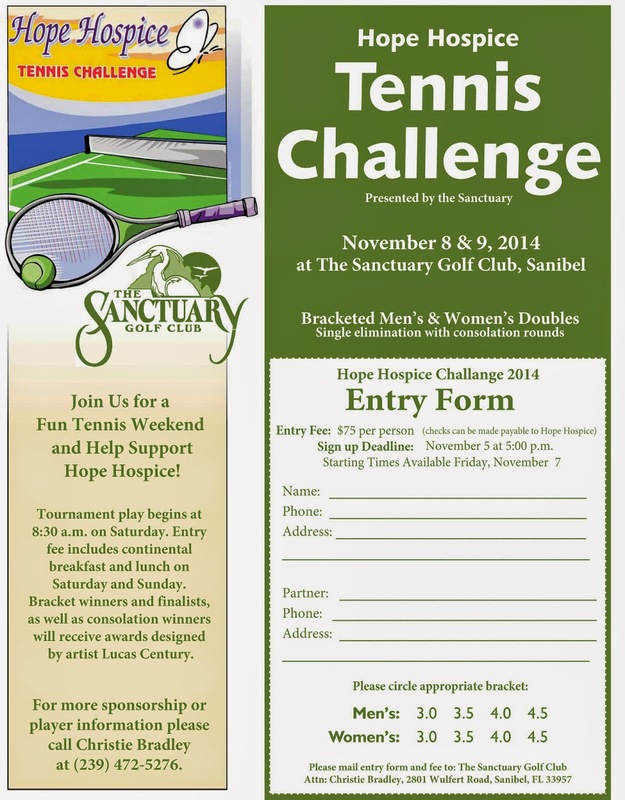 Entry fee includes continental breakfast and lunch on Saturday and Sunday. Bracket winners and finalists, as well as consolation winners will receive awards designed by artist Lucas Century. For more sponsorship or player information please call Christie Bradley at (239) 472-5276.